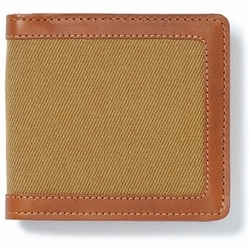 Filson Packer Wallet. The Filson Packer Wallet is outfitted with proprietary Weatherproof Leather and Rugged Twill. Heavy-duty nylon thread holds up to years of daily use.